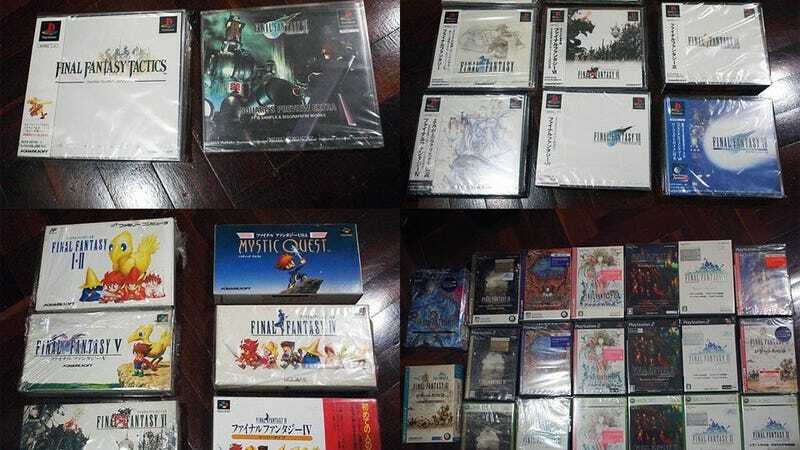 A guy from Thailand is selling his collection of Final Fantasy games. Normally, not so big a deal, but this isn't your average collection, since it includes over 70 titles. eBay seller undkodlor is offloading Final Fantasy games from the Famicom, Super Famicom, Game Boy, DS, PS1, PS2, PS3, PSP, GameCube, Wii, Xbox 360, PC, mobile phones and even the rare Final Fantasy game on the MSX. There is also some other stuff like soundtracks and calendars going out the door. Among that haul are some very limited editions and bonus offers, including one of my personal favourite consoles, the white GameCube released for Final Fantasy: Crystal Chronicles.